In the heart of Burgundy, Domaine de Suremain is located in the center of the village of Mercurey at the Château du Bourgneuf. 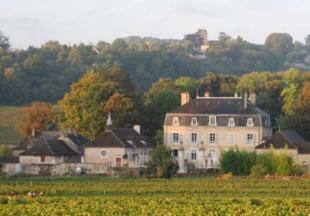 The Mercurey appellation is the most renowned of the Cote Chalonnaise, and one of the most important appellations of Burgundy. Mercurey is named after the messenger of the Gods in Roman mythology. Yves and Marie Helene Suremain are fourth generation producers who own and farm 18 hectares of vineyards, with most of their land holdings classified Premier Cru. Wine Enthusiast 90"This young wine has attractive red-cherry and berry flavors as well as balanced acidity. A line of fresh fruitiness cuts through the tannins and wood-aging flavors." Wine Spectator 91"A pretty red, boasting rose, strawberry and cherry aromas and flavors, with touches of earth and mineral adding interest as this winds down on the finish. Elegant and fresh. Drink now through 2025. 500 cases made." Wine Spectator 90"Pure, featuring violet, raspberry and wild cherry flavors accented by earth and mineral hints. Linear and elegant, with a fresh, fruit-and mineral-tinged finish." Wine Spectator 91"Offering cherry, raspberry and tea flavors, with a hint of tobacco, this is round and balanced. The cherry note persists from start to finish."